Add these to your family game night. CMON Inc. has provided me with these games for review. 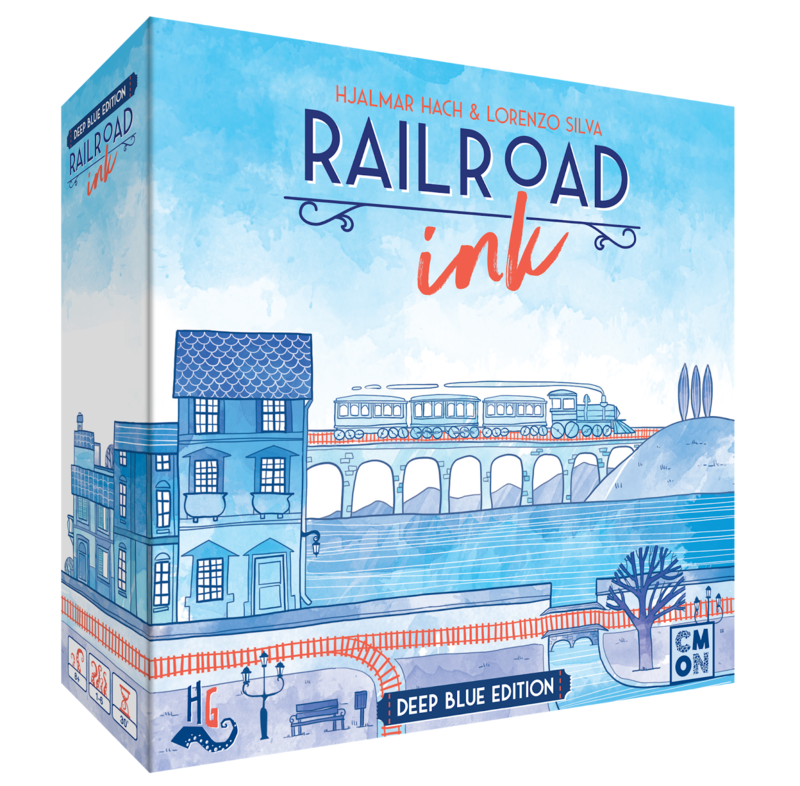 This is Railroad ink Deep Blue Edition. Inside the box you will find 4 Route Dice, 2 River Dice, 2 Lake Dice, 6 Boards, 6 Markers and a Rule Book. To play, you roll the route dice then draw the results on your route board. You score points by having long interconnecting routes, connecting the entry points to your board and having routes through the center of your board. But you lose points if you have unfinished lines. In the Deep Blue Edition, the River and Lake Dice add waterways to the map. You can combine this with the Blazing Red Edition to add meteors and volcanoes. The Deep Blue Edition is a 1-6 player game and is recommended for age 8 and up. You can purchase it for $19.99 HERE. This is Dream on. Inside the box you will find a 2 Minute Timer, 3 Scoring Cards, 156 Dream Cards and a Rule Book. To play you enter a shared dream with your friends that is dictated by the dream cards. 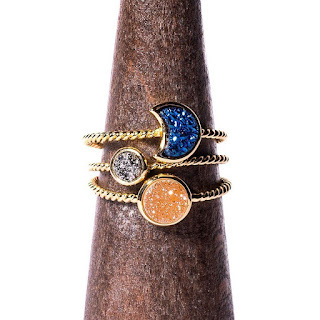 It may put you in outer space, another land or under the sea. Each player gets 3 cards and one card is placed face up on the table to make the dream pile. Then you flip the timer and players take turns adding one of the cards to the pile and telling the story of your dream based on what cards they play. There is no turn order, each player adds a card whenever he wants. The only rule is that you have to draw a new card from the deck after each card you play. You do this until the timer runs out. Then you take turns trying to remember the dream in order and check it with the pile of cards everyone played. You score points according to how well you remember the dream. This is a 2-8 player game and is recommended for age 7 and up. You can purchase Dream On for $19.99 HERE. This is Kaleidos. It comes with four identical sets of ten pictures. Each player sets up the same picture to begin the game. A letter is chosen using a deck of cards. To play, you have to search the picture and write down everything you see in it that begins with the specified letter. You get 60 seconds per round. When the round is over you compare your lists. Any word that is on more than one player's list scores 1 point. Any word that is only on one person's list scores 3 points. After each player has their score for the round, a new round starts using a new picture. You add your scores from each round together. The person with the highest score at the end of the last round wins. 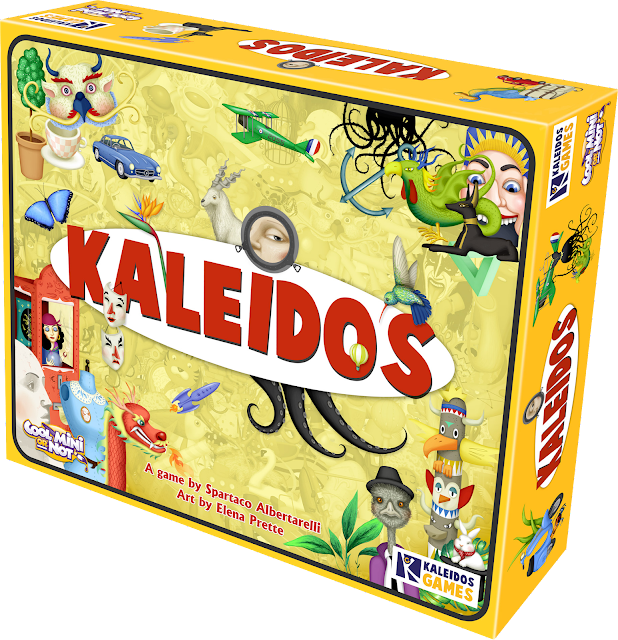 You can buy Kaleidos for $39.99 HERE. This is Ta-Da! In the box you will find 36 Custom Dice, 6 Dice Cups, 45 Spell Cards, 20 Feat Cards and a Rule Book. 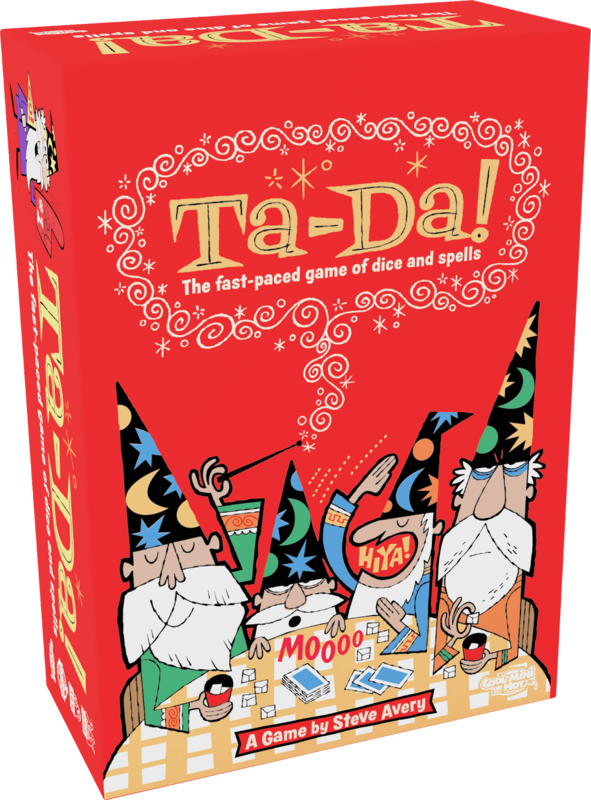 To play each player rolls their spells using the colorful dice. There is a different color of cup and dice for each player. Each turn you can save one symbol that matches your spell card. You want to roll your dice as fast as you can because each player rolls at the same time. Each round the rules are altered by the Feat cards, so you need to think fast and be able to change your strategy. Some spells can be used to slow down your opponents. The first player to complete 6 spells wins the game. This is a 2-6 player game and is recommended for ages 14 and up. You can purchase it for $24.99 HERE.